At Weddington Family Dentistry we know that receiving treatment recommendations can be confusing and even intimidating. We’re here to clear up any of your dental hesitations and keep your oral health on the right track! Why do I need a deep cleaning rather than a regular visit? Other than cosmetic reasons, what are other benefits of orthodontics? Is it normal for my teeth to be sensitive after a filling? 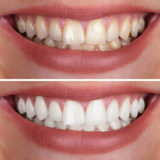 Will Zoom Whitening brighten my crowns to the same shade as my natural teeth? What is the difference between a bridge and an implant? A routine cleaning is needed every 6 months simply to maintain a healthy mouth and to make sure your teeth and gums have remained in good shape. A deep cleaning removes buildup of harmful, destructive bacteria that forms on the surface of the tooth’s root underneath your gums. This type of treatment is necessary to prevent gum disease from becoming so destructive that it causes further bone loss, tooth decay, and bleeding. Having straight teeth and a corrected bite can provide help improve your health. Crooked or overlapped teeth can make it difficult to brush and floss effectively, allowing bacteria to build and can lead to tooth decay and gum disease. 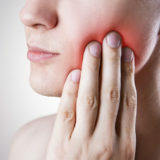 Abnormal jaw pain can also be caused by crooked teeth. Schedule your free Invisalign consultation today! Fillings last between 7 and 10 years. If you have a weak or broken tooth, a crown can be used to protect it from further decay, or it can hold the crack together so that part does not completely break off. It is used in cases when the damage on the tooth has become too much for a regular filling to repair. Your crown will last between 5 and 15 years. No, crowns and other tooth replacements will not whiten with Zoom Whitening. We recommend getting Zoom whitening prior to having your crowns placed and then matching the crown color to your newly brightened teeth. Dental bridges literally bridge the gap where one or more teeth have been lost, bonding the artificial material onto its surrounding teeth so that they remain in their place. Bridges can be removable, which you can take out and clean, or fixed, a type of bridge that can only be removed by a dentist. Dental implants are permanent posts that are surgically placed into your jawbone, acting as a sturdy anchor to hold replacement teeth, like bridges, in tact. This secure fit makes man-made teeth feel more natural than typical bridges. Your smile is yours forever, and we want to make it as easy as possible for you to receive the best dental care whenever you need it. We’ll work with your insurance provider to make sure that your coverage meets your needs and your budget.